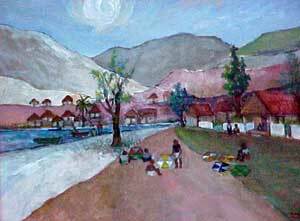 Born in Gonaïves on August 11,1937, Arijac (Harry Jacques) came to Port-Au-Prince to study. He worked with Sacha Thebaud as a draftsman. His first paintings were exhibited in 1965. 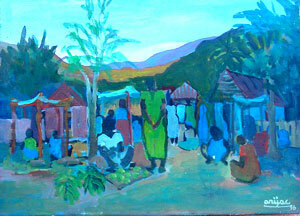 Arijac is said to be one of the masters of Haitian impressionism. His paintings are a collector's delight. He has exhibited internationally.
" 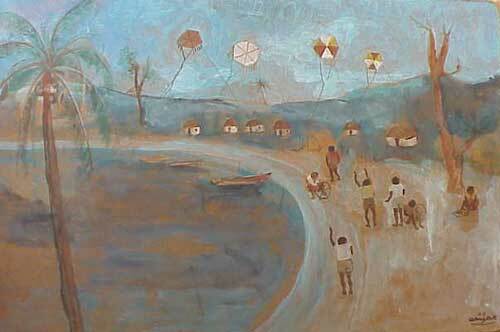 Boys with Kites "